If you ask most DC readers who the three most powerful superheroes are, most of them would answer Superman, Batman and Wonder Woman. But that didn’t stop Aquaman from kicking their butts! 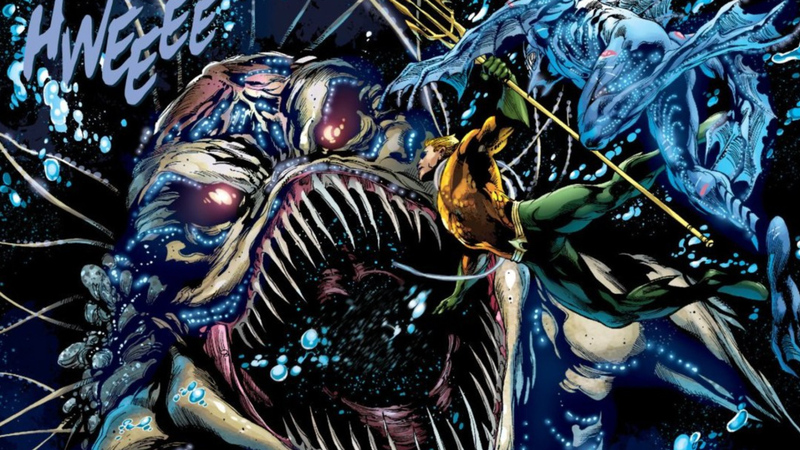 In 2013's Justice League #16 (written by Geoff Johns and penciled by Ivan Reis), Aquaman finds himself in the unlikely position of defending his brother Orm, a.k.a. Ocean Master, from the League. Arthur is hoping to handle Orm himself and keep matters “in the family”, and when his teammates won’t stand down, Aquaman reminds them just how powerful he is. During the brief battle, Aquaman brushes off an assault from Batman’s weapons, throws Superman across the battlefield, and withstands the unmatched might of Wonder Woman’s lasso. Going toe-to-toe with any one of these heroes is near impossible, but Aquaman was able to give all three of them a run for their money – at the same time! The biggest mistake most villains make is assuming that Aquaman will be easy prey. This assumption led to a physically painful and humiliating defeat for ZuM, a White Martian who tried to take on the Justice League in 1997's JLA #4 (written by Grant Morrison and penciled by Howard Porter, read JLA #4 here). ZuM went after Aquaman first, thinking that he was the weakest member. The White Martian teased Arthur about his lack of flight or super speed, then joked about how talking to fish was his only ability. Aquaman responded by using his psychic powers to manipulate XuM’s brain through his basal ganglia; an organ he inherited from his marine ancestors. Within seconds XuM collapsed on the ground while experiencing a seizure. Aquaman was able to defeat the villain in seconds, without so much as touching him. In 1994's Aquaman #3 (written by Peter David and penciled by Marty Egeland and Gene Gonzales, read Aquaman #3 here), Arthur heads to a Hawaiian naval base to investigate an admiral who may be involved in some unethical dealings. Aquaman’s entry to the base is blocked by Superboy, serving as Hawaii’s resident hero at the time. 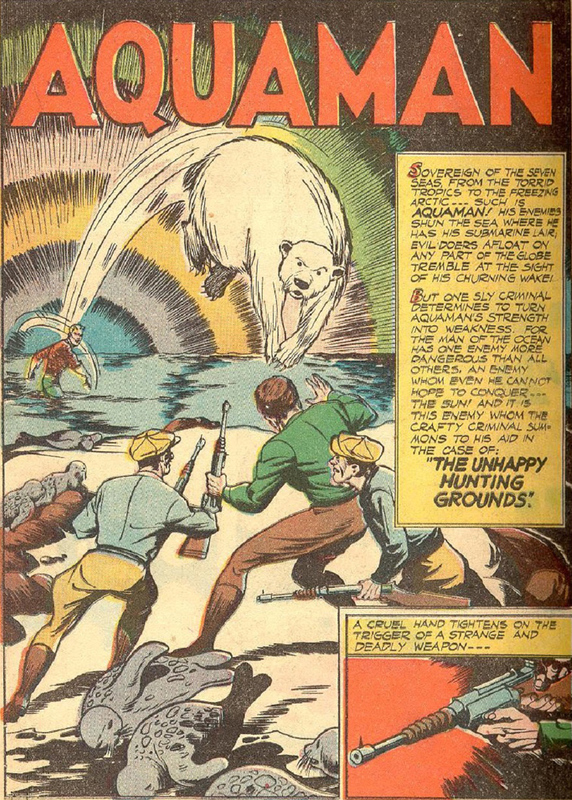 Superboy tosses Aquaman around and makes the usual talk-to-the-fish jokes, before sending Arthur on his way. The kid smugly thinks he’s taught Aquaman a lesson….until Arthur returns with a vengeance. Using a herd of blue whales, Aquaman causes a tsunami as his army of sea creatures flood the coastline. Superboy is easily disoriented and Aquaman makes quick work of him. Remember: if the king of the sea wants to see someone, don’t ask if he has an appointment – just let him through! 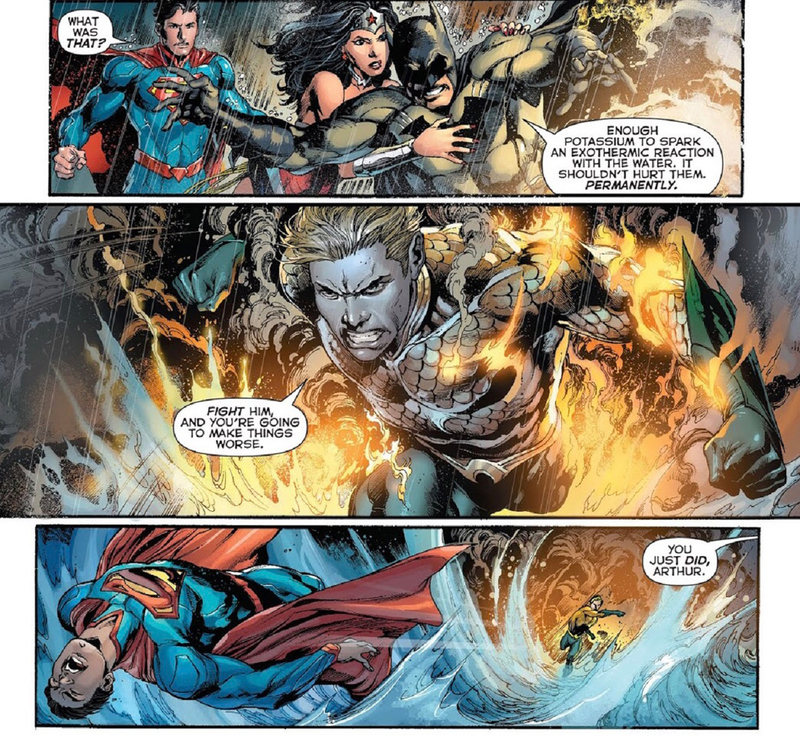 Arthur and Mera found themselves mounting a difficult rescue mission in 2011's Aquaman #4 (written by Geoff Johns and penciled by Ivan Reis, read Aquaman #4 here). A group of humans have been sealed in underwater cocoons by lifeforms known as the Trench, and Aquaman journeys to the depths of the ocean to save them. 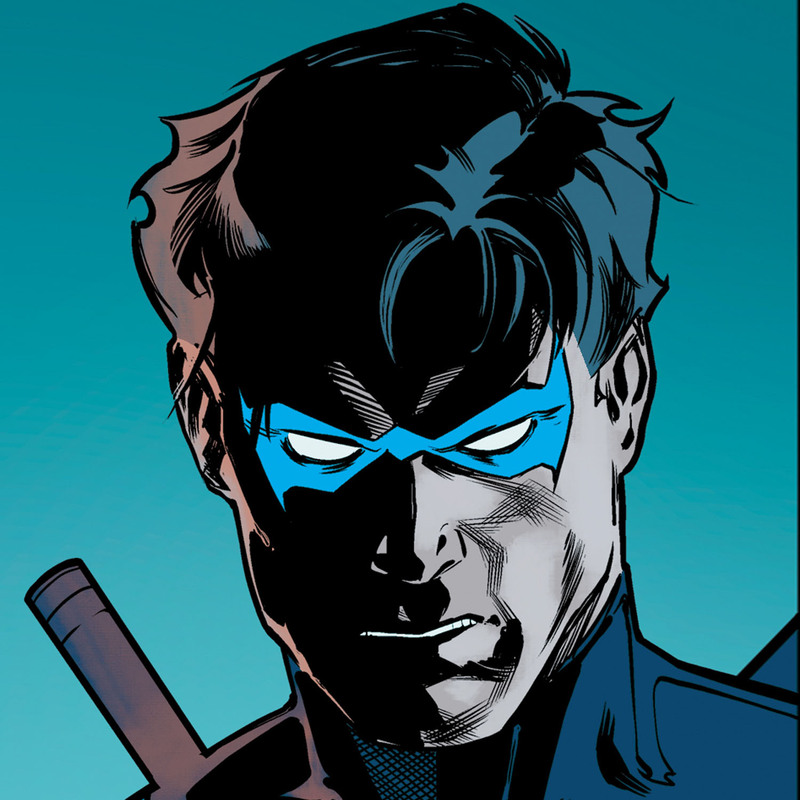 He tells Mera he’ll hold off the creatures while she takes the hostages to the surface, and then begins the fight of his life. An entire herd of the species gangs up on Arthur, biting off entire chunks of his skin. 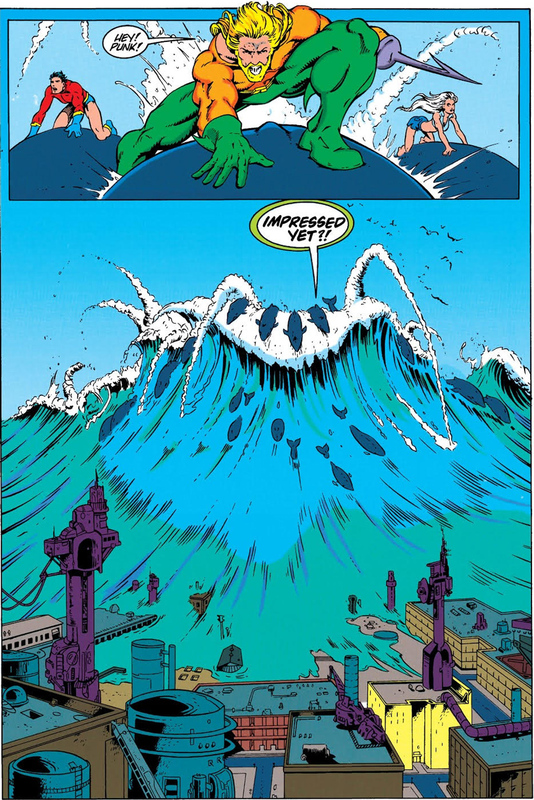 But Aquaman fights through the pain and manages to avoid being fed to their queen, eventually trapping the entire species in a volcanic vent. Lesson learned -- don’t mess with the sea king! What are your favorite Aquaman moments? Let us know in our Community!